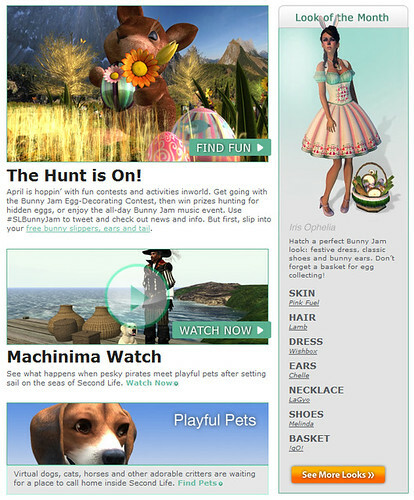 Two days ago, I opened this email newsletter from Second Life and saw Iris Ophelia wearing cheLLe bunny ears for the Look of the Month feature! THANK YOU IRIS! Purchase both packs online @ the Marketplace (links above) or in-world at cheLLe main store.